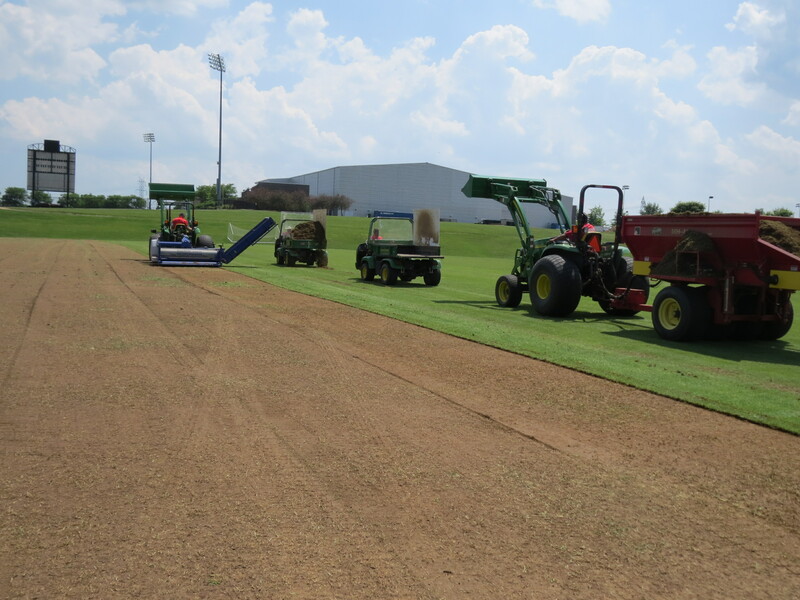 The impact of fraze mowing bermudagrass is beginning to show. 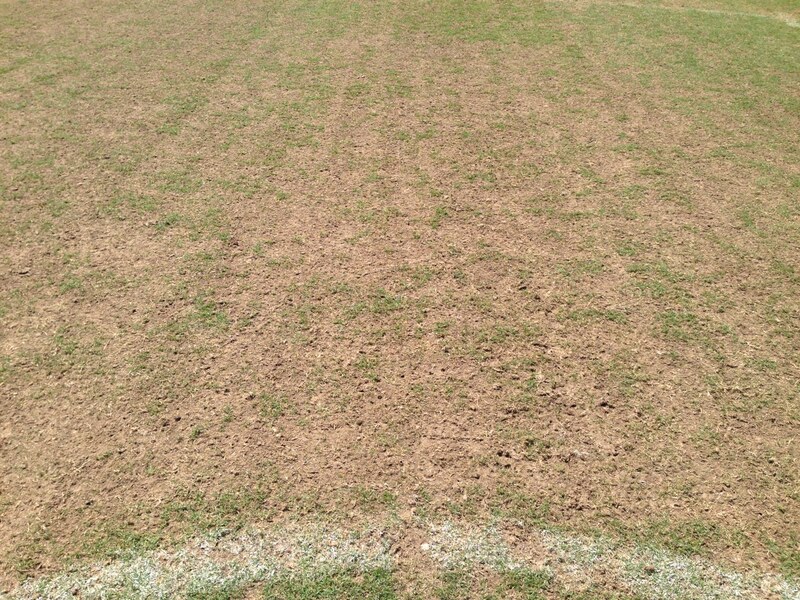 Fields that were “cleaned off” at Maryland SoccerPlex and at FC Dallas Park are all setting themselves apart. 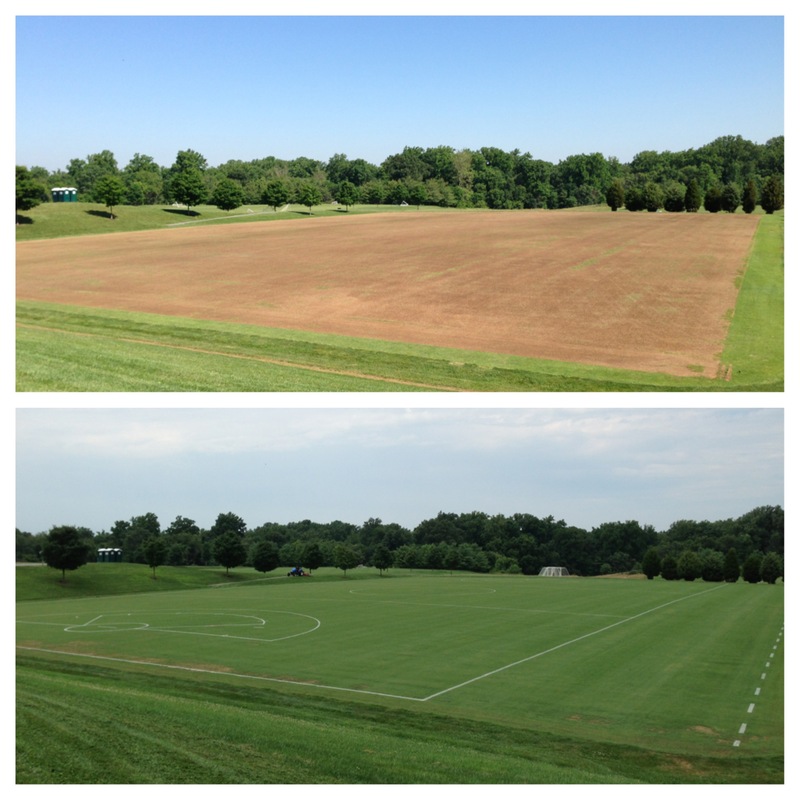 Maryland SoccerPlex fields that were “cleaned off” are illustrating improved wear tolerance, even just 6 weeks after fraze mowing. 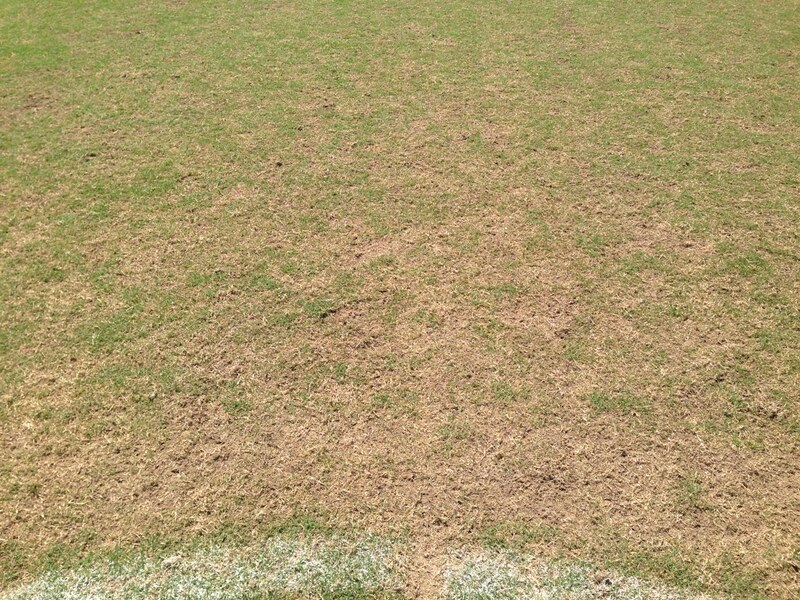 During a lacrosse tournament last weekend, SoccerPlex Patriot bermudagrass fields hosted 34 lacrosse matches per bermudagrass field in rainy, humid conditions. The durability from the fraze mowed fields was far superior. The treatments have been the same; no fertilizer and 1 pass w/ 3/8″ hollow coring tines on 1″ centers; accept that the non-fraze mowed fields were scarified to promote recovery. The results follow…. 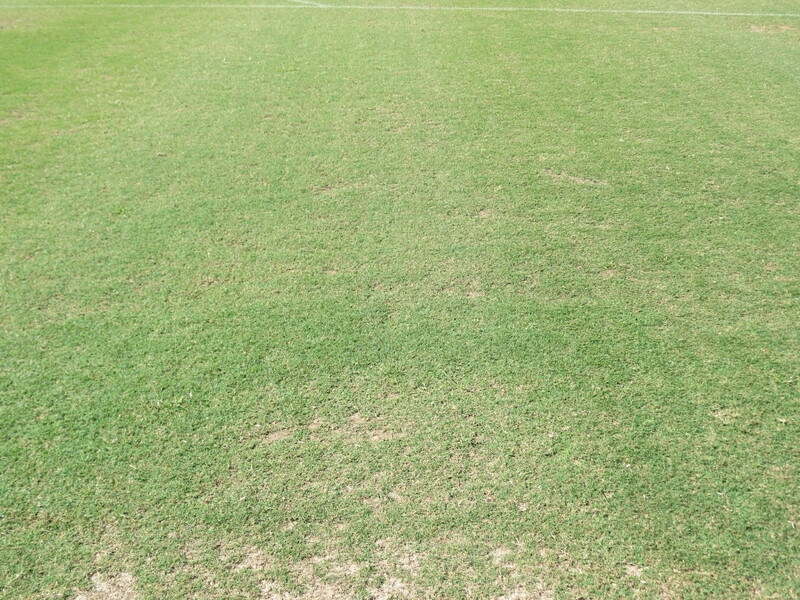 Because bermudagrass is so quick to recover, it is accepted before such a lacrosse event that the bermudagrass will nearly be completely worn away. 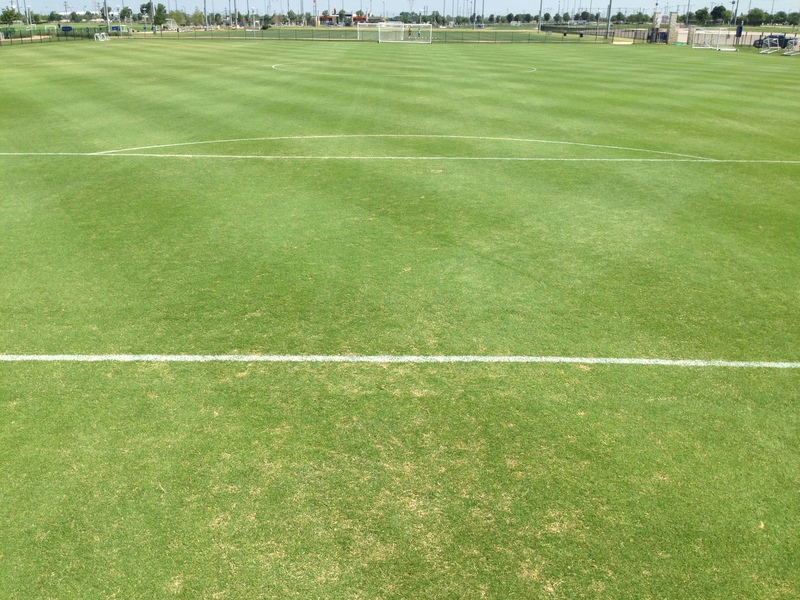 The bermuda is able to recover completely within 2-3 weeks even at this pace. The results speak for themselves. Yes, in both pictures the field is extremely worn initially on Day 1. However, look closer and compare the amount of green tissue remaining on the ground in the fraze mowed picture compared to the field not fraze mowed. The field not fraze mowed is nearly all dirt where new bermuda will need to push back up through the soil or have sprigs added to the area. 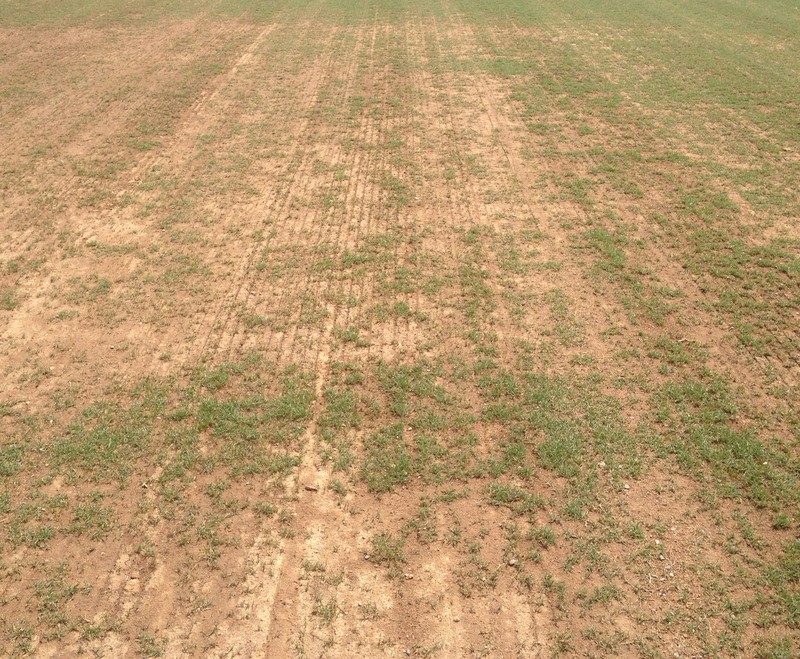 The fraze mowed field still has nearly 75% cover, so the plants can quickly grow back in the worn area. 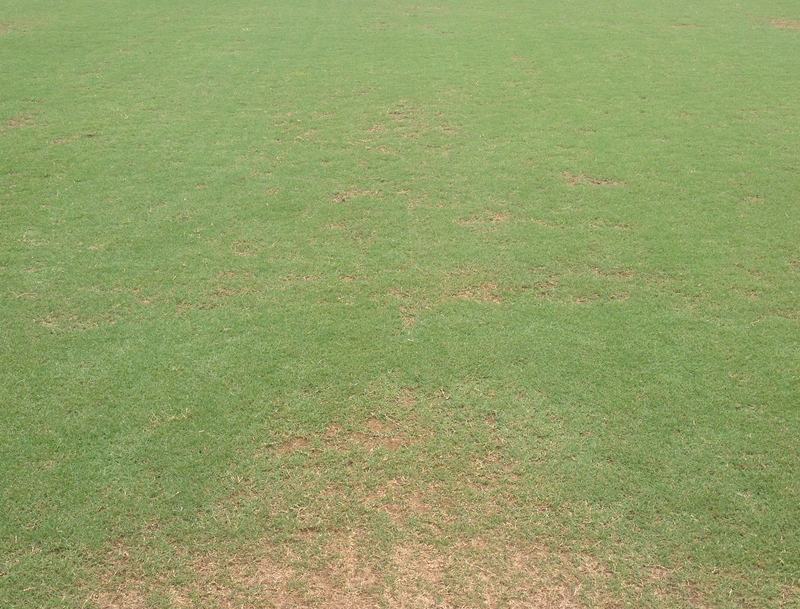 Because of the increase in durability of the fraze mowed bermudagrass, it is recovering in only 1 week. Not only does this allow the field to recover faster, but it can allow for the fields to sustain even more play. Win. Win. So WHY is the difference so vast already? 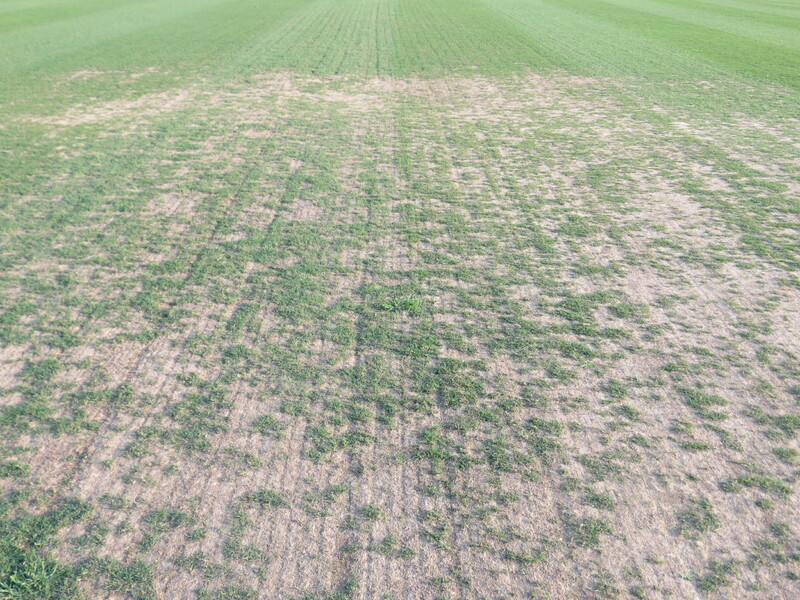 1) Re-growth is more durable: Just 6 weeks after the field was cleaned off completely, the re-growth back up through the soil is much stronger. The number of growing points has multiplied and the cleats go into the soil instead of thatch to reduce shearing/ tearing/ increasing traction. 2) Organic removal reduces moisture and compaction potential: During the 4 day lacrosse tournament, wet and rainy conditions prevailed. The drying speed of the fraze mowed fields was much faster than the non-fraze mowed fields, and the 3 fields that were “cleaned off” historically hold water the longest. WHY? The organic layer was removed, so water was not held in the organic layer as long and allowed to soak into the native soil faster. The organic removal also reduced the compaction potential at the soil surface. 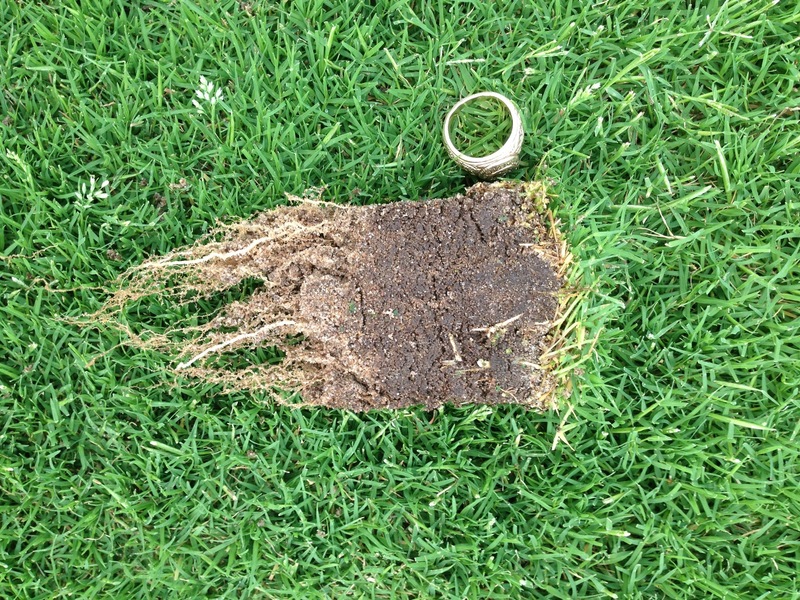 The pictures also illustrate the difference in the quality of the bermudagrass re-growth. 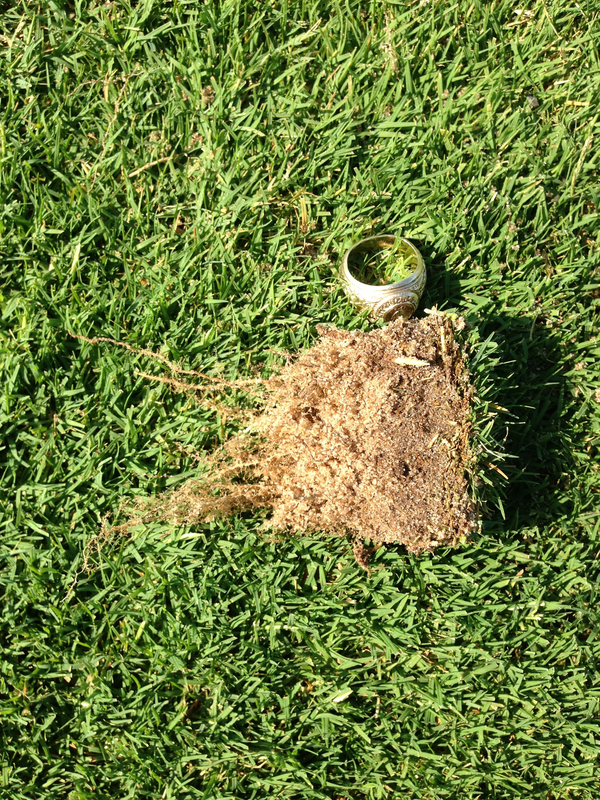 Without having to grow up through thatch and having more growing points, the picture illustrates how much stronger the bermudagrass is after fraze mowing. Additionally, the poa is removed as well.